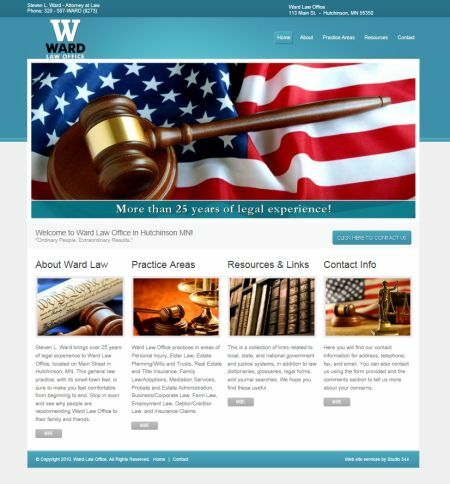 Attorney Steven L. Ward contacted Studio 544 to build a web site for his growing law practice. The site consists of animations, custom graphics and a new company logo. Studio 544 also designed new business cards to match the look of the site.